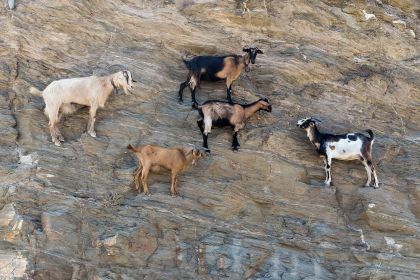 Do beach parties, adrenaline sports, wreck diving and cliff jumping appeal? Include Ios on your next island-hopping yachting-adventure itinerary. There is plenty of oppptunity, too, to enjoy some well-earned downtime. Young at heart? 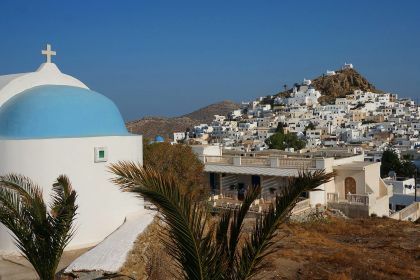 Then the Cyclades’s party island of Ios is sure to be a magnet for you yachting vacationers who lap up the night life and fancy your breaks a little more extreme. Ios offers a nurturing escape from the stresses of daily life. There is no shortage of secluded anchorages and sheltered, isolated beaches on the island; drop anchor at any time, and revel in its staggering natural beauty. Start by heading to Manganari beach in the south. 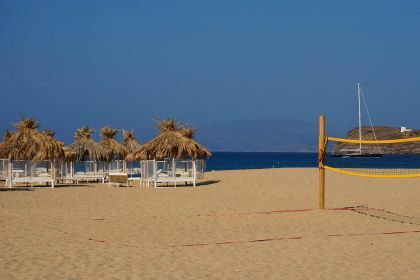 About an hour away from Chora, the island’s main town, the beach is refreshingly free of crowds and noise. And it’s stunningly beautiful. You’ll be awed by the crystal-clear water and soft white sand. It’s still developed enough to offer everything you need though: shops, sunbeds and tavernas for that late-afternoon chilled aperitif. If it’s privacy and seclusion you’re after, then Agia Theodoti beach in the east, 14km from Chora, is also a welcome option. The seemingly endless sandy shore is surrounded by a long clump of trees, offering welcome shade and natural beauty. There are also some ideal spots for cliff jumping as the clear water offers excellent visibility. 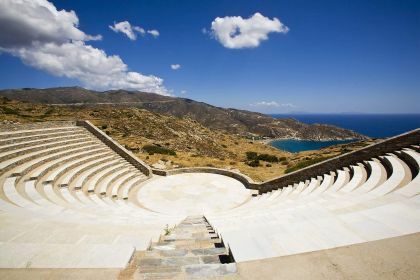 If you prefer to be where the action is, then head to the western beach of Mylopotas, which is much closer to Chora. Here you’ll find a buzz of people, bars, beach parties and water sports. Plug into the island’s fun factor, and let your hair down. Of couse no visit to a Greek island is complete without a sublime gourmet experience. And on Ios it’s tantalisingly tasty and authentic. Kokoretsi (lamb or goat intestines wrapped around seasoned offal); Katogi is famous for its Greek tapas, while Grandma’s Restaurant serves up memorable fish carpaccio with pink pepper and lavender panna cotta. You’ll never want to leave, such is the lure of Ios. 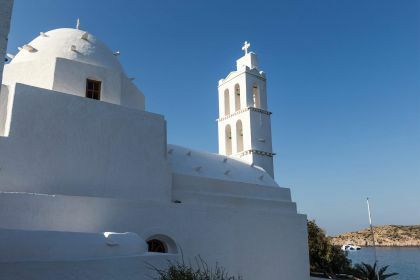 But her neighbouring sister islands of Paros, Naxos, Folegandros and Amorgos — each with its own distinctive charms — are tantalisingly close. Where will your yacht take you next? Due to its party focus, Ios has something of a reputation as a ‘youth island’ – a significant number of visitors are in their teens and twenties. This is good news for partygoers, as there are plenty of vibey bars and clubs. Pathos is one of the main drawcards. No wonder, its world-class DJ is supported by amazing sunset views and an infinity pool. PASH Night Club is another hot spot where you’ll want to dance to some sultry beats until the sun comes up. 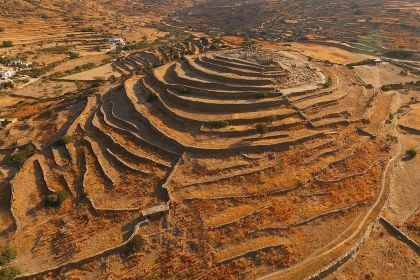 Insider tip The early pre-historic Cycladic settlement of Skarkos, on the north side of Ios port, is an award-winning archaeological site, and finds from the settlement are exhibited in a small archaeological museum nearby. Be sure to visit it for a fascinating glimpse into Ios’s past. You can call us or leave your charter enquiry here and we’ll make sure you get the most from your yachting holiday to this magical Greek island. We are here to help you plan every last detail of your memorable island-hopping adventure.